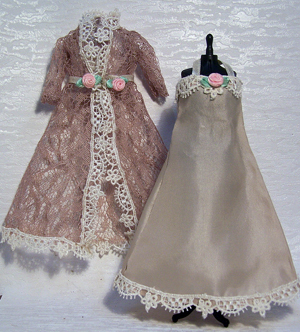 The Negligee is Made Of Beige Lace Trimmed with White Lace and Pink Roses. 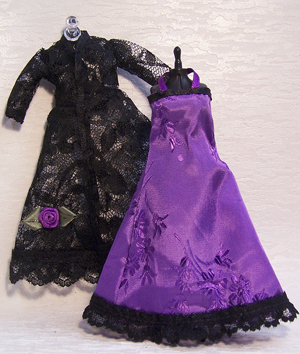 The Nightgown is Made of Silk and Trimmed With the Same Lace and Pink Rose. Both are Handsewn. Display on the Mannequin or Across a Bed or Chair in a Miniature Bedroom.